After a stunning start to the season, Arsenal's form has gone wayward. Return to form by Man Utd leaves Arsenal's top 4 chances limited - can they return to the Champions League? 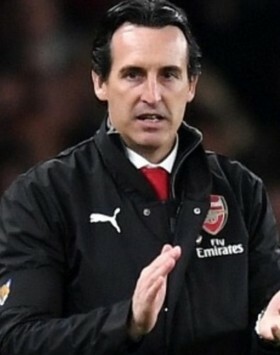 Unai Emery started his Gunners career in the worst way possible; with two defeats to bitter rivals Chelsea and Man City. Fast forward to December, the Spaniard had reverted Arsenal's fortunes rapidly, with 22 games in a row unbeaten. Since then, Arsenal's form has slipped miserably and last weekend's 1-0 defeat to West Ham has seen Emery's early popularity dwindle. Now it is up to Emery himself to make some important decisions to stop the rot, or risk being in a position similar to his much-maligned predecessor Arsene Wenger. Arsenal fans are a critical bunch and Emery had looked to have pulled them on to his side when taking huge risks such as benching Mesut Ozil for key games and also making risky half-time substitutions, a tactic very rarely employed by Arsene Wenger. However, now Gunners' fans are asking a different question if Arsenal had to make half time substitutions, were the players meant to be in the first-team from the off? Had Emery made an incorrect decision benching star players for key games and in many cases completely leaving players out of the matchday squad, when the club slumps to defeat to West Ham? Unai Emery faces an uphill challenge to turn around Arsenal's form. A difficult visit of Chelsea looms this weekend. In addition, the Gunners are slipping down the table and rivals Man Utd have returned to good form since the departure of Jose Mourinho. Emery needs to find the club's form soon, or risk being in a precarious position at the end of the year, with the Arsenal board having set a target of Champions League qualification for the Spaniard at the beginning of the season.